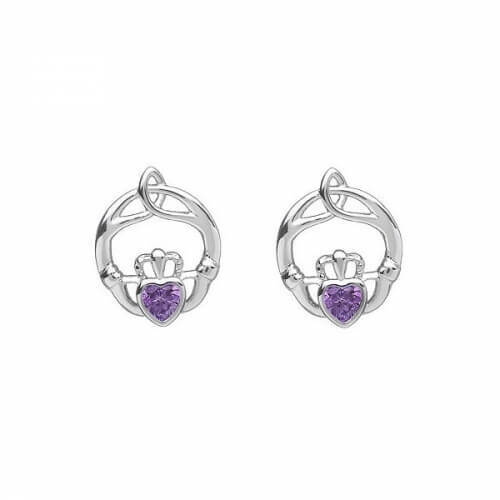 To show that special woman born in February just how much she means to her, give her these February Claddagh earrings. 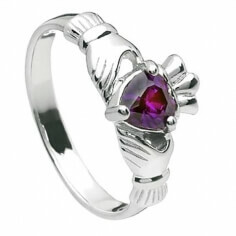 The Claddagh symbol (two hands, a heart, and a crown) have long been an Irish representation of friendship, love, and loyalty between two people. That makes these earrings a very touching gift. The amethyst in the center of these earrings is the traditional birthstone of February. 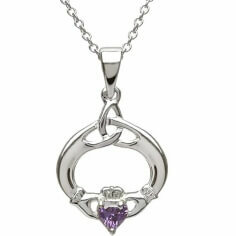 This stone was originally worn by the Greeks to ward off drunkenness because they believed it protected from poison. It now a symbol of humility, sincerity, and spiritual wisdom.